In April 1861, Allwood removed Henry from the office of Superintendent as he had begun, after a dispute with the curate the Rev GH Moreton, to attend in the afternoons firstly at St Phillips and then, with members of his wider family, at St Andrews. The dispute related to Mr Moreton who had in Phillip’s view, in his conducting of the afternoon service, ‘mutilated by the omission of a portion of the prayers and the first lesson’. It is unknown if Phillips continued this practice of worshipping at St James’ in the morning and then worshipping somewhere else in the afternoon. It is possible that he left St James and joined St Andrews but, if so, he returned to St James to be married 10 years later. 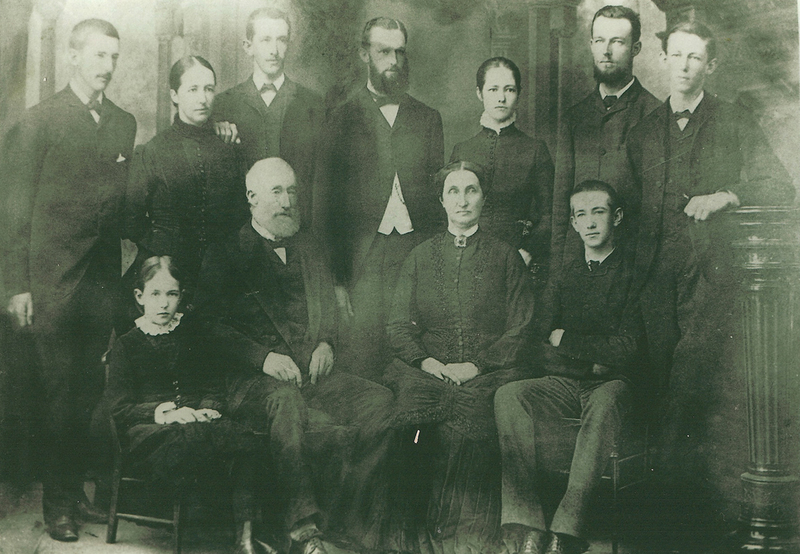 All but one of the children of their marriage were baptised by Cannon Allwood at St James over the period 1872 to 1884. The last child, Frederick, also was baptised at St James but by the Rev J D Langley. It is uncertain if these baptisms were an indication that Henry and his family had returned to Sunday attendance at St James or if, while attending at St David’s Surry Hills or elsewhere, they returned to St James for baptisms as part of family tradition. The Phillips family, at least through Henry’s brother Fred, were involved in the formation of St David’s, Surry Hills, which was a short walk from the Phillips’ residences. Fred Phillips was on an initial committee to pursue the formation of the new church and was the Hon. Secretary from 1874 until 1878 and was involved at least until 1895. Of the two bequests left to non-family in Henry’s will, one of £50 was to the St David’s Building Fund which is suggestive of a degree of interest and possible attendance at St David’s by Henry and his family. The Rev J D Langley was the minister at St David’s from 1875 until 1881 and it is perhaps significant that the last family baptism conducted for Henry’s family at St James was conducted by him; Langley also conducted Margaret’s funeral in 1892. This again suggests a relationship with Langley that most probably stemmed from their time worshipping at St David’s under his ministry. In September 1860, Henry was involved in setting up the Paddington and Surry Hills Volunteer Rifles (P&SH VR) being appointed to the organising committee which preceded the election of officers. He was appointed 2nd Lieutenant in April 1861, 1st Lieutenant in April 1863, Captain in May 1863, and Major in February 1876. In 1878, with the reorganisation of the Volunteers under new regulations, he was appointed Captain while retaining the rank of Major (Brevet-Major) in the 2nd Regiment, NSW Volunteer Infantry, under the command of Lieutenant-Colonel John Hay Goodlet. Henry was committed to the welfare of his men and this was evident when he was the senior officer in a deputation to the Colonial Secretary in 1878. The deputation was about what were considered injustices perpetrated by the Government’s reorganisation of the Volunteers. In particular, they were concerned that under the old regulations land grants had been made to those who had satisfactorily served for 5 years. While the wisdom of ceasing land grants for military service from the current time onwards was understood and accepted, it was considered that ‘an act of injustice had been done to those men who had served a second term of service, received certificates of efficiency, and then disbanded without’ receiving a land grant. The deputation did not meet with great success but with phrases like ‘they might just as well expect elephants to fly’ and ‘he would beg in the streets rather than go to the Government for money’ and the interview was concluded with the Colonial Secretary suggesting that ‘if it were proposed in Parliament to compensate the men for their past services there was no more chance of its being carried than of his going to heaven at the present moment, which he did not think at all a likely event’. In his time in the Volunteer Rifles, Henry was never called upon to command his troops in defence of the colony but spent his time and that of his men in drill and exercises to be ready for such an eventuality. The closest Henry came to action in defense of the colony was when he and his troops set up a cordon to control a crowd at a huge fire in George Street. Henry was commended for his actions when he was returning with his men from the sham-fight, and hearing the alarm he immediately gave word to march to the spot, and formed his men into a line, and thus kept back the immense concourse of people from crowding round the place, while the police took charge of the goods saved. When Henry died he was accorded a military funeral with a firing party supplied by the 2nd Regiment of the Volunteer Rifles. He had served in the volunteer rifles for 24 years and this service was an example of philanthropy as civic engagement through which Henry contributed his time and effort to build an organisation that responded to a perceived need for greater security for the colony of NSW. Deaf Dumb and Blind Institution. Henry became a member of the committee of the Deaf, Dumb and Blind Institution (DDBI) in December 1866 and served until his death in 1884. He was probably invited to become a member of the committee because of his accounting skills but also because he was family to two members of the committee. Frederick Ropier Robinson, a foundation member of the governance committee and the father of Ellis Robinson, the Secretary, was married to Henry’s sister Caroline Jemima. Henry became Treasurer in November 1871 and served until his death in 1884. The role of the Treasurer was an onerous one and this is demonstrated by the annual reports which show the growth of the DDBI and its increasing complexity. While Henry was present at almost all annual meetings during his term of office, apart from presenting his Treasurer’s report, he rarely spoke. The one significant exception concerns the misappropriation of DDBI funds by one of the donation collectors, George Luff. Did the president think that he had had all the bother in this matter? Unlike his Divine Master, who went up into the mountains to pray, he went to the Blue Mountains to hatch various charges against the secretary and himself and this was nothing less than a spiteful and malicious procedure on his part. The root cause of King’s behaviour, Robinson believed, was King’s loss of influence within the DDBI. For some time, the DDBI had largely been run by King and his views had always prevailed but increasingly the DDBI had become an organisation in which King’s influence had been diminished and where he could not do simply as he pleased. For his part, King thought that the committee was under the control of the Robinson family. He complained to the Vice-President the Rev Dr John Dunmore Lang who uncharacteristically was, according to King, resigned to the situation saying ‘ that Mr Robinson and his family connections were able to rule the Board and we were powerless’. One suspects that Lang could tell the difference between a titular leader and a hard-working secretary and this was the source of his uncharacteristic resignation. Clearly, however, the DDBI committee had lost confidence in King and shortly afterwards in January 1881 King, after 20 years involvement, resigned as President and Dr Arthur Renwick was elected in his place. Upon Henry’s death, the DDBI installed a marble tablet in the DDBI building which recorded that he ‘earnestly laboured for the welfare of the institution throughout 17 years’. In his will he left only two bequests to non-family and one was for £100 to the DDBI. 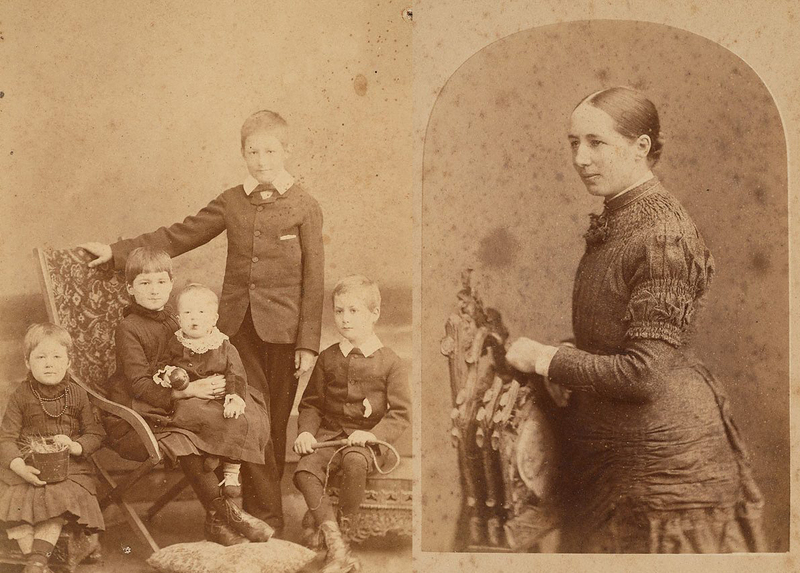 Margaret joined the Ladies Visiting Committee (LVC) in 1877 and continued to serve until her death in 1892. When Margaret began her membership on the Committee she was 25 years old with two children and during her time as a member would bear two more children and see the death of her husband and a child. There are no extant records of the meetings of the Ladies Visiting Committee, so it is unknown how regular Maggie was in attending such meetings. It is known, however, that her attendance at the Annual public meetings of the DDBI was impressive. Even before she was appointed to the LVC she attended the annual meetings and continued to do so after her appointment. She missed some meetings during her pregnancies but otherwise, Henry and Maggie were in attendance and clearly shared a commitment to the DDBI. Her commitment was such that after Henry’s death she continued on the committee for another 8 years until her own death. The deaths of Henry and Margaret would not end the involvement of the Phillips/Robinson family in the DDBI. In 1891, Henry’s brother Fred would join the committee and in 1894 was appointed Treasurer, a role in which he continued to serve until 1921, and he finally concluded his service to the DDBI in 1924. This meant that the Robinson/Phillips family gave their service to the DDBI from its foundation in 1861 until 1924, a total of 63 years. When he died in 1884, Henry was an accountant who worked for the Pacific Fire and Marine Insurance Company (formed in 1862) and had done so from at least 1867 during which period he was the acting manager on many occasions. What work Henry did prior to this is uncertain, but it seems that by 1856 and up until at least 1860 he worked for Thacker & Co which became Thacker, Daniell & Co in 1857  and Daniell, King & Co in 1864. These companies were general import and export agents who were also involved in fire and marine insurance, being agents for the London Alliance Fire Insurance Company and the Canton Insurance Office. Henry’s experience in insurance probably allowed him to take a job with the Pacific Fire and Marine Insurance Company when it began operating in NSW. In these various iterations of Thacker & Co the name King does not occur in its title until 1864, but George King (not to be confused with the Rev George King previously mentioned) had been a partner since 1854. It seems that Henry and George had a number of mutual business interests. Perhaps George King, a businessman of some prominence, may have facilitated Henry’s work. By today’s standards, this business relationship might be considered somewhat problematic. It did not, for example, seem to be a matter of comment nor occur to the parties that it was inappropriate for the accounts of the AMP to be audited by someone who was formerly an employee of the Chairman and who was the joint secretary of a committee seeking to support Chairman King’s attempt to enter parliament. Working in insurance was not the only commercial activity in which Henry engaged. He invested in mining companies and banks and was an auditor for numerous companies. His mining shares were largely bought between 1872 and 1873 and perhaps, apart from his small investment in Beyers and Holtermann’s Star of Hope Gold Mining Company (Limited), were unproductive. For many years he was an auditor of AMP (1867 to 1869, 1870 to 1872, 1873 to 1875), the Glanmire Gold Mining Company (Limited) 1866-1868 which ceased operation by 1870, Beyers and Holtermann’s Star of Hope Gold Mining Company (Limited), the Stannifer Tin Co, and also a director of the short-lived West Krohmann Gold Mining Company. … bought the land and started building the first six houses of the Aston Terrace, a fine set of ten mid-Victorian two storey brick houses that are now numbered 15 to 33 Collins Street. All the houses in the group were completed by 1876, and were initially numbered 1 to 10, starting at the Crown Street end. Henry Phillips and his family lived in number 10, next to the vacant lot at the Riley Street end. During construction, he had a dispute with the council about who was responsible for providing drainage for the houses. The Aston Terrace had a rare feature in Surry Hills of sizeable front yards. They were planned as a unified conception, and form a balanced composition. The earliest real estate purchase by the Phillips brothers was during 1858 and 1859 when purchases were made in Maryborough, Queensland, and closer to hand in Sydney. The Maryborough blocks were suburban lots on the east bank of the Mary River and Henry appears to have retained some land or assets in Queensland up to the time of his death. The main real estate purchases were made in Sydney with Henry purchasing some 25 acres at Longbottom (now called Concord) for £160 to be followed by the acquisition of some choice waterside blocks at Cabarita Point in 1859. It was upon this latter purchase that Henry and Margaret’s ‘country’ residence, called ‘The Wurley’, would be built. 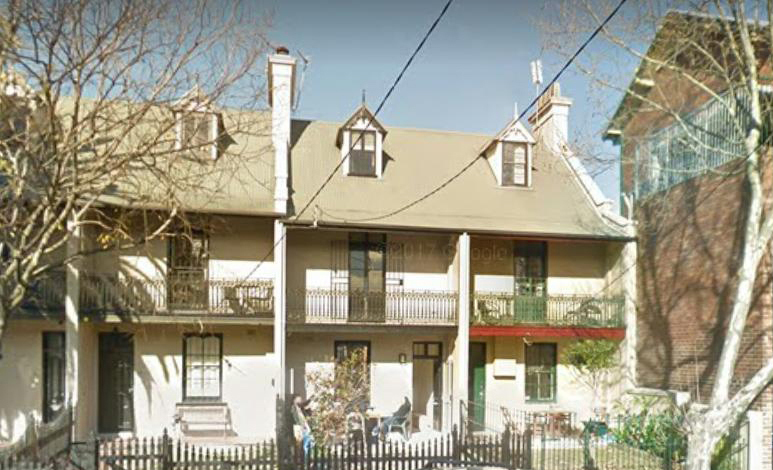 The name of this property is a South Australian aboriginal word for “shelter” and that the Phillips should so name their residence, noted for the first time in 1890, is an unusual occurrence for the time. No other interest in aboriginal culture or support of ministry to aboriginals on the part of the Phillip’s family is known. It may be that they were influenced by sitting under the ministry of the Rev Joshua Hargrave, minister of St David’s Surry Hills from 1880-1899, and a man ‘devoted to the welfare of the Australian aborigines’ as well as ‘a founder of the Yarrabah Mission, from which … the Australian Board of Missions developed’. He was a ‘keen student of aboriginal habits, and was a member of the Anthropological Society, being closely associated with the late Dr Carroll in the work of that society and in the production of its journal, “Science of Man”’. Though Hargrave’s activities were after he left St David’s, his interest in aboriginal customs probably began in his boyhood as he grew up on his father’s property in Hillgrove, NSW, and collected aboriginal artefacts. In 1880, possibly on the strength of his adjacent landholding, Henry was made a Trustee of the Government Reserve at Cabarita Point. Henry was a Mason and was invested as Brother Major Henry Phillips to be Chaplain to Lodge Kilwinning No. 378 of the Scottish Constitution in 1883. On his death, his estate confirmed this masonic membership as he had not paid his dues for the year 1884. The length and depth of his involvement with the Masons is unknown. Henry left Sydney with Maggie and a child, probably Irene, in November 1881, for London to seek medical advice and the family returned to Sydney in June 1882. Whatever his health issue was is unknown, but perhaps it rendered him more susceptible to infection for he died from Typhoid fever a month after contracting the disease in 1884. Maggie was to die some eight years later of spinal paralysis. It is a sad commentary that some 150 years later ‘Aston Terrace’, the house Henry built, still stands but that the grave of he and his family is but a large vacant space. Whatever gravestones were placed there, for it is hard to believe that nothing was ever erected, have been destroyed or removed. 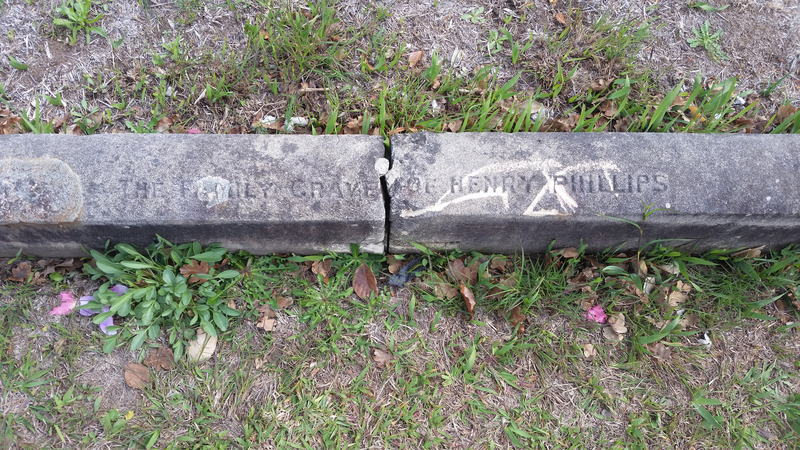 The only indication of it being a resting place of the Phillips family is that the plot is surrounded by a stone curtilage upon which the words “THE FAMILY GRAVE OF HENRY PHILLIPS” can be, with some difficulty, discerned. Henry and Margaret Phillips were not financial philanthropists for, while they did give some financial support, their main contribution was as governance philanthropists. Henry gave 17 years of service to the DDBI with 12 years in the arduous role of Treasurer and Margaret, despite family responsibilities, gave 15 years of service on the DDBI Ladies Visiting Committee. In addition to this, Henry served for 24 years in the Volunteer Rifles contributing as a philanthropist of civic engagement responding to the perceived need for greater security in the colony. Rev George King and Fred Phillips Annual Report of the Deaf, Dumb and Blind Institute, 1905. Considerable difficulty was experienced in researching this article due to the existence in Sydney during the period under consideration of several different men, at least 8, with the name “Henry Phillips”. Where I have not been able to establish that reference is being made to the “Henry Phillips” of this article the data has been ignored. England & Wales, Criminal Registers, 1791-1892, Summer 1819, at Warwickshire, England, 1378. New South Wales, Australia, Convict Registers of Conditional and Absolute Pardons, 1788-1870, on the recommendation of ‘their Honours F Forbes and Judge Stephen and Mrs Forbes’. The Sydney Morning Herald (hereafter SMH), March 31, 1884, 1; The Maitland Mercury and Hunter River General Advertiser (Maitland, NSW), January 14, 1886, 2. Henry was one of 33 deaths in Sydney and Suburbs from Typhoid in the month of March, 1884. SMH, April 30, 1884, 4. Known as Maggie. Kiama Independent, and Shoalhaven Advertiser (Kiama, NSW), April, 29 1897, 2. Evening News (Sydney, NSW), July 1, 1871, 2. She was born 7 Apr 1852 and died on 16 October 1892. Ancestry.com. Scotland, Select Births and Baptisms, 1564-1950 [database on-line]. Provo, UT, USA: Ancestry.com Operations, Inc., 2014. The Shipping Gazette and Sydney General Trade List (Sydney NSW), May 29, 1854, 94. The Daily Telegraph (Sydney, NSW), April 1, 1914, 8. Kiama Independent, and Shoalhaven Advertiser (Kiama, NSW), April 29, 1897, 2. SMH, January 27, 1873, 8. Hilary Weatherburn, ‘Read, Irene Victoria (1880–1972)’, Australian Dictionary of Biography, National Centre of Biography, Australian National University, http://adb.anu.edu.au/biography/read-irene-victoria-8165/text14273, published first in hardcopy 1988, accessed online 20 August 2018. Empire (Sydney, NSW), May 6, 1861, 3. Empire (Sydney, NSW), July 21, 1860, 3; August 22, 8; September 19, 1860, 5. Empire (Sydney, NSW), September 19, 1860, 5. Sydney Mail (Sydney, NSW), July 21, 1860, 5. Empire (Sydney, NSW), July 18, 1860, 4. 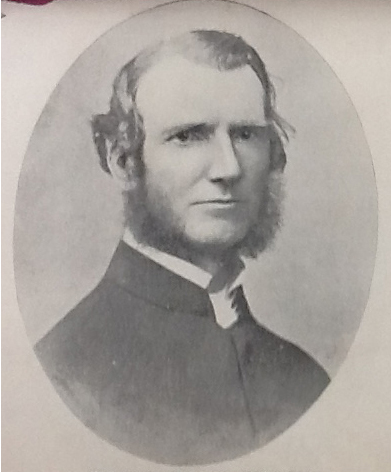 The Rev George Harman Morton (1826-1902) commenced at St James in 1858 and left in 1867. SMH, July 23, 1867, 4; July 5, 1902, 9. Empire (Sydney, NSW), May 6, 1861, 3; July 10, 1861, 3; July 13, 1861, 3. Empire (Sydney, NSW), July 13, 1861, 3. 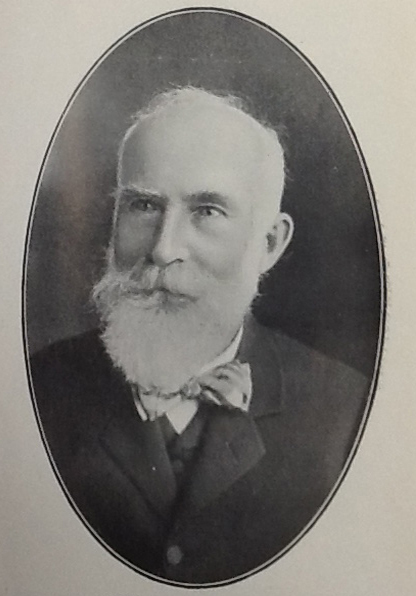 A close family connection with Rev JD Langley is suggested by the baptism of Frederick Stobo Phillips but also by the fact he conducted Margaret’s funeral in 1892. Langley was the first to be minister of St David’s Surry Hills. The Sydney Mail and New South Wales Advertiser (Sydney, NSW), February 14, 1874, 216. SMH, October 17, 1874, 1; November 4, 1878, 1. He was a Church Warden in 1875. SMH, October 28, 1875, 4. SMH, October 8, 1880, 5; Evening News (Sydney, NSW), September 2, 1887, 3; The Daily Telegraph (Sydney, NSW), September 2, 1895, 7. SMH, September 18, 1860, 3; NSW Blue Book, 1867, 31. New South Wales Government Gazette (Sydney, NSW), April 23, 1861 [Issue No.90], 891. SMH, April 3, 1863, 8. New South Wales Government Gazette (Sydney, NSW), May 25, 1863 [Issue No.96 (SUPPLEMENT)], 1201. SMH, February 5, 1876, 5. New South Wales Government Gazette (Sydney, NSW), November 5, 1878 [Issue No.346], 4446. SMH, September 9, 1876, 4. Australian Town and Country Journal (Sydney, NSW), June 18, 1870, 27. SMH, June 7, 1878, 4. Evening News (Sydney, NSW), November 14, 1878, 3. SMH, November 30, 1878, 3. SMH, March 6, 1878, 3. Evening News (Sydney, NSW), March 25, 1871, 2. SMH, March 31, 1884, 10. The current name of this organisation is the Royal Institute for Deaf and Blind Children (RIDBC) and this more appropriate name has evolved over time. The organisation in 1860 was called the Deaf and Dumb Institution and in 1869 it became the Deaf and Dumb and Blind Institution. In 1954 the Queen conferred the title Royal upon the Institution and the name was changed to The Royal New South Wales Institution for Deaf and Blind Children with the word ‘dumb’ being deleted. In 1973 there was a further name change with “Institution” being replaced by “Institute” thus gaining its present name the Royal Institute for Deaf and Blind Children. For the period of this study the organisation was called the Deaf and Dumb Institution and that terminology is used. Sydney Mail (Sydney, NSW), December 22, 1866, 2; Empire (Sydney, NSW), November 6, 1871, 3; SMH, October 28, 1884, 5. The Sydney Mail and New South Wales Advertiser (Sydney, NSW), October 19, 1872, 507. Evening News (Sydney, NSW), October 19, 1880, 3; The Sydney Daily Telegraph (Sydney, NSW), October 19, 1880, 3. SMH, October 22, 1880, 3. SMH, October 19, 1880, 7. Evening News (Sydney, NSW), October 19, 1880, 3. Freeman’s Journal (Sydney, NSW), November 6, 1880, 14. The Sydney Daily Telegraph (Sydney, NSW), October 19, 1880, 3. Rev George King to DDBI Committee, May 8, 1880. King Family papers, NSW State Library. SMH, January 29, 1881, 3; October 18, 1881, 7. The Sydney Daily Telegraph (Sydney, NSW) October 28, 1884, 5. SMH, June 14, 1884, 5. 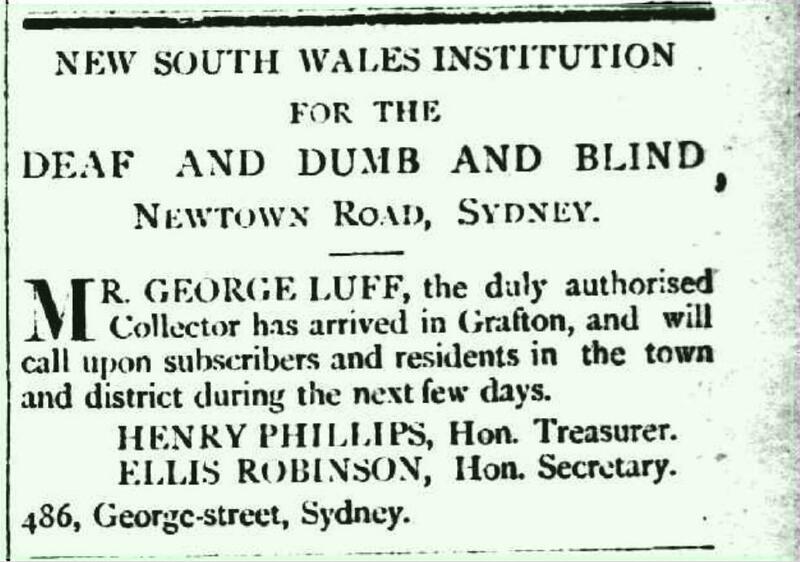 Deaf, Dumb and Blind Institution 50th Annual Report 1911, 26. Frederick Phillips (1832-1927) The Daily Telegraph (Sydney, NSW), September 19, 1927, 23. ‘Aston’ the name of Fred’s house mentioned in the death notice was the name of the Terrace in Bourke Street built by Henry. He was a founder member then the auditor for the Royal Australian Historical Society. “Phillips began his business career with the mercantile firm McNamara and Smith, and subsequently joined the Australasian Steam Navigation Company as Secretary, retaining that position until the company was merged into the Australasian United Steam Navigation Company in 1887. He then became auditor to the City Bank, the Government Savings Bank (Barrack St), the Newcastle and Hunter River Steamship Company, and the Permanent Trustee Company.” Keith Johnson http://www2.rahs.org.au/RAHS%20Mastersite/phillips.htm [accessed 4/09/2018]. Evening News (Sydney, NSW), October 20, 1891, 3; SMH, August 1, 1894; Western Champion (Parkes, NSW), May 21, 12; SMH, October 23, 1923, 10. SMH, December 14, 1867, 8; December 30, 1870, 2; The Brisbane Courier (Brisbane, Qld), May 14, 1869, 2; SMH, March 31, 1884, 1. A Henry Phillips of Thacker and Co was elected a member of the Philosophical Society in 1856. Empire (Sydney, NSW), June 14, 1856, 3. In 1885 The Royal Society (the new name of the Philosophical Society) recorded the death during the year of Henry Phillips who joined in 1856. SMH, May 7, 1885, 4. In 1860 two men were convicted of cutting wood at Longbottom on the property of Henry Phillips of O’Connell street which was the address of Thacker, Daniell and Co. Empire (Sydney, NSW), December 3, 1860, 8. New South Wales Government Gazette (Sydney, NSW), July 3, 1857 [Issue No.95], 1368. New South Wales Government Gazette (Sydney, NSW), July 1, 1864 [Issue No.133], 1512. SMH, June 12, 1858, 2; The Argus (Melbourne, Vic. ), January 9, 1856, 6. Not to be confused with the Rev George King of the DDBI. Martha Rutledge, ‘King, George (1814–1894)’, Australian Dictionary of Biography, National Centre of Biography, Australian National University, http://adb.anu.edu.au/biography/king-george-3953/text6231, published first in hardcopy 1974, accessed online 15 September 2018. New South Wales Government Gazette (Sydney, NSW), July 4, 1854 [Issue No.79], 1376. The Maitland Mercury and Hunter River General Advertiser (Maitland, NSW), April 27, 1867, 2; Empire (Sydney, NSW), March 23, 1869, 1; Australian Town and Country Journal (Sydney, NSW), April 30, 1870, 6; The Sydney Mail and New South Wales Advertiser (Sydney, NSW), April 27, 1872, 521 ; The Maitland Mercury and Hunter River General Advertiser (Maitland, NSW), May 1, 1873, 1; April 24, 1875, 6. Empire (Sydney, NSW), November 2, 1866, 8; SMH, October 31, 1867, 3; October 22, 1868, 1. The Gundagai Times and Tumut, Adelong and Murrumbidgee District Advertiser (Gundagai, NSW), May 14, 1870, 2. SMH, February 4, 1873, 1. SMH, August 26, 1873, 5. The Sydney Mail and New South Wales Advertiser (Sydney, NSW), April 13, 1872, 468. SMH, November 20, 1876, 4. Ross, The History of Collins Street, Surry Hills, 53 www.shazbeige.com/pdf/Collins_Street_History.pdf [accessed 7/09/2018]. Morton Bay Courier (Brisbane, Qld), September 29, 1858, 3; The Brisbane Courier (Brisbane, Qld), June 28, 1884, 7. This is demonstrated by the need for the Supreme Court of Queensland to grant probate in regard to his Queensland assets. The Brisbane Courier (Brisbane, Qld. ), June 28, 1884, 7. Two blocks were purchased one by Henry and one by Frederick. It was upon Frederick’s block the house was built and was bequeathed to Maggie on Henry’s death so at some stage ownership must have been transferred. Lecture by J H Palmer on ‘The Aborigines’ Empire (Sydney, NSW), August 14, 1857, 2. SMH, August 14, 1890, 10. SMH, December 8, 1932, 13. Evening News (Sydney, NSW), October 5, 1880, 2. SMH, July 27, 1883, 9. Henry Phillips, Deceased Estate Papers 20/69761, 39397. SMH, October 17, 1882, 5. Outward bound on RMS Ravenna on November 4, 1881, SMH, November 5, 1881, 4. Inward bound on RMS Sutlej arriving in Sydney June 30, 1882. Australian Town and Country Journal (Sydney, NSW), July 8, 1882, 36. Henry Phillips, Death Certificate 699/1884, New South Wales Registry Births, Deaths and Marriages. Margaret Thomson Phillips, Death Certificate 1379/1892, New South Wales Registry Births, Deaths and Marriages. By phinaucohi in Philanthropy on November 12, 2018 .